How lucky we are. We have the scientific data, and as Art of Change 21 shows, we have the creativity of the world in our hands. We are lucky because we still have time to change. Art of Change 21 inspires creativity, inventiveness and energy for the younger generation and instills in them the values of social entrepreneurship, it is a winning formula to effectively and positively contribute towards the fight against global warming. The Conclave of Art of Change 21 is a once in a lifetime event. Unforgetable. The aim of Art of Change 21 is to put a stop to the separation of art, entrepreneurship and the environment and to show that their synergy is the solution. The association Art of Change 21 connects art and major environmental issues (global warming, air pollution, waste). 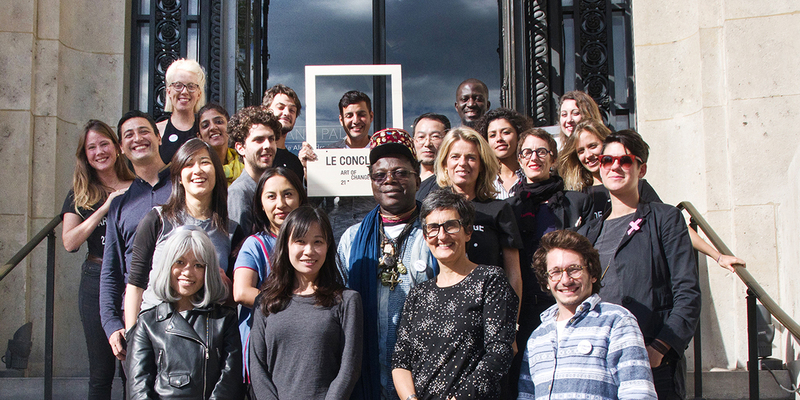 Since its creation in Paris in 2014 in the perspective of COP21, Art of Change 21 highlights the role of artists and creativity as accelerators of the ecological transition and acts on an international scale. For Art of Change 21, artists are essential to the establishment of a post-carbon future. They contribute to the emergence of a “new civilization” that is more sustainable but also more creative and supportive. Workshops, exhibitions, events, collective and participative actions, meetings, production of art works, support of projects, creation of video contents, the means of action of the association are numerous and destined to the general public. Focusing on the sensibility, the aesthetics, the “doing together” and the talents of everyone, Art of Change 21 touches and mobilizes the youth and the citizens, by a strong visual dimension and creative practices. The goal is to awaken people’s consciousness and turn every individual into an actor of change. Maskbook is the main project of the association. 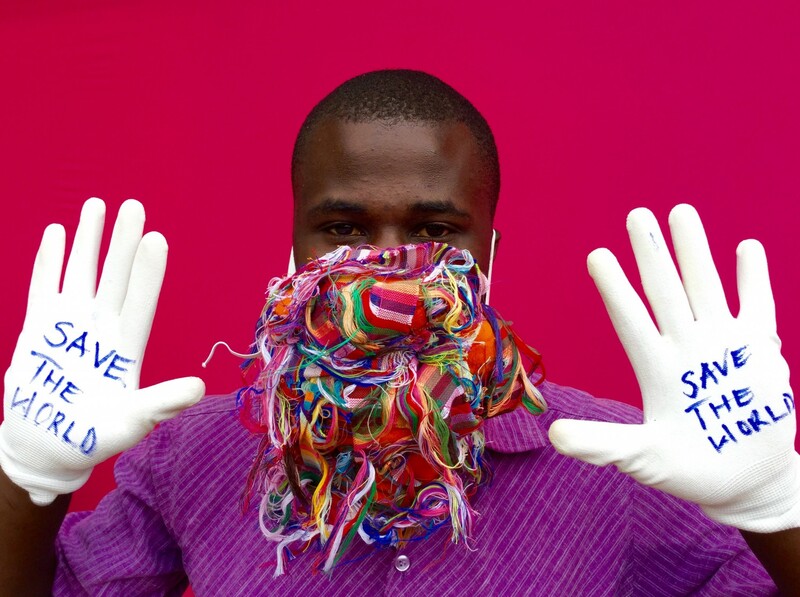 At the same time world collective artwork and action against air pollution and global warming, since its launch for COP21 in 2015, it has brought together thousands of contributors-creators around a strong symbol, the anti-pollution mask. 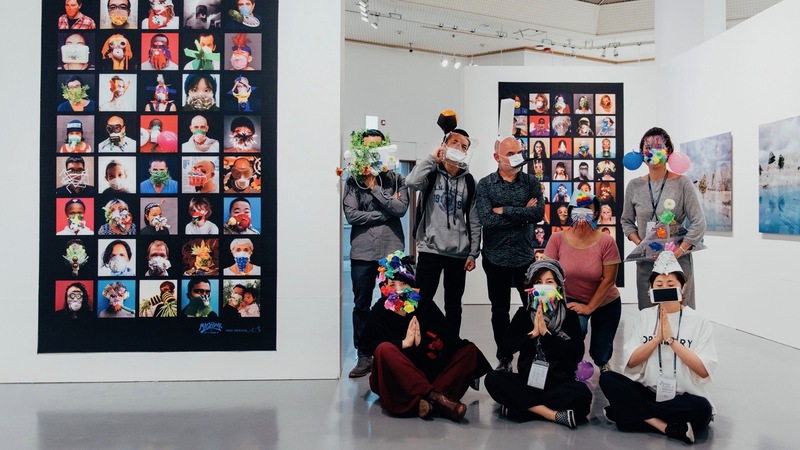 It is organized around workshops based on art and upcycling, exhibitions, on an international scale (China, Ghana, Ecuador, India, Kenya, Belgium, South Korea, Scotland …) The online gallery of masked portraits is offered in French, English and Chinese. Masktrotter, the new inclusive and nomadic component of Maskbook, is currently under development. The main projects currently carried by the association are designed in a unique event format invented by Art of Change 21, “The Conclave”, it is an international, co-creative and multi-actors meeting, bringing together committed artists, eco-socio-innovative entrepreneurs and young eco-activists. Two Conclave took place in 2014 and 2017 in Paris. They gave birth to the Maskbook, Cairo Game and Climate Being projects. 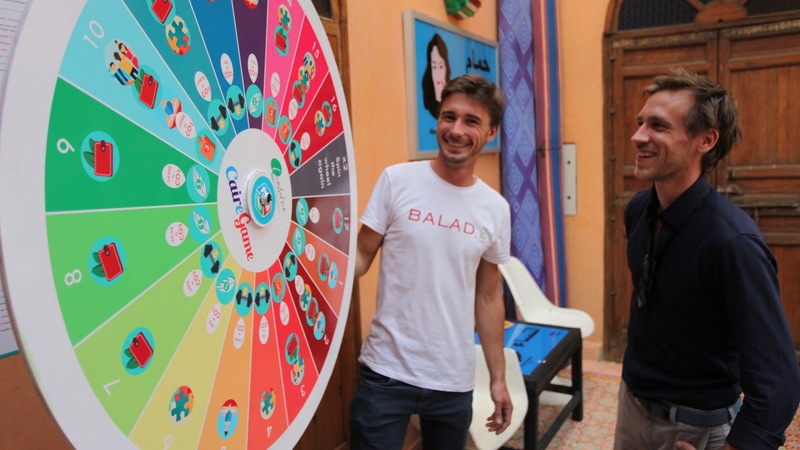 Another project developed by the association, Cairo Game, allows everyone to reduce their CO2 emissions through specific actions. The website cairegame.org is available in three languages, French, English and Arabic. Art of Change 21 also organizes strong actions at Climate Conferences (COP Climate) with programs uniting art, ecology and innovation. From the Grand Palais for the COP21 to the Riad of the artist Hassan Hajjaj in Morocco for the COP22 through the Slaskie Museum of Katowice for COP24 in Poland, the association creates large-scale events with local actors and celebrates an approach both artistic and innovative about the climate issue. The association aims in the coming years to support the community of artists committed to environment even more. It also aims to develop its advocacy actions for the role of art and creative expression in the SDGs (Sustainable Development Goals) and society. Finally, the association aims to become the showcase and the relay of the great momentum for the environment which is being set up not only in the visual arts, but also in cinema, literature and live performance. To conceive and put in place artistic, innovative, participative and accessible actions, aiming to raise awareness and mobilize citizens on the theme of sustainable development and the environment. The multidisciplinary and collective creative process of its actions. 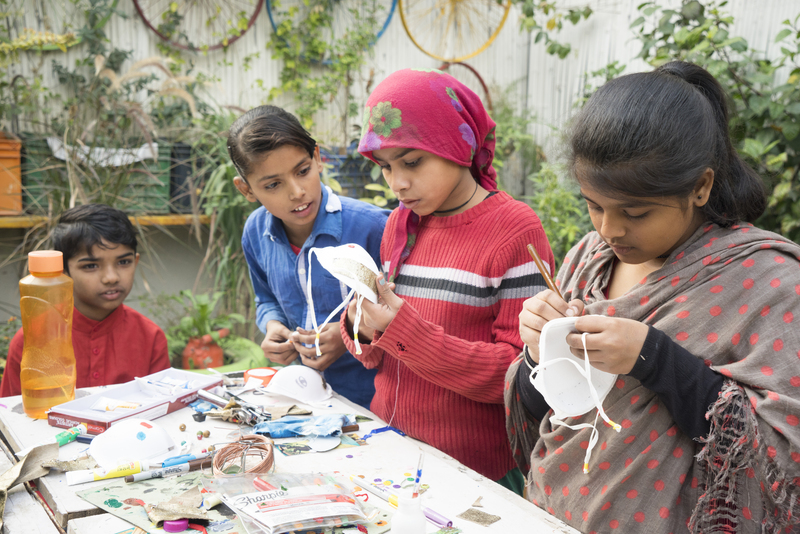 Each project is the fruit of a « cross-fertilisation », a close collaboration between artists, social entrepreneurs and young leaders committed to environmental protection.